y and by, they put down their plates and pick up their instruments. It’s a Friday night in March and there’s a big crowd at the home of Provost Rogan Kersh and his wife, Sara Pesek. Billy Hamilton, professor of Russian, gets out his banjo. 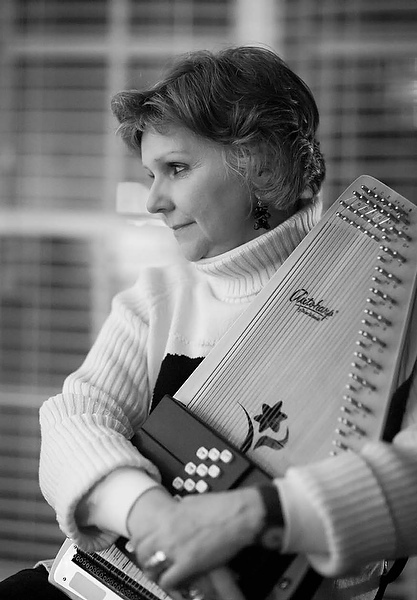 Martha Allman, dean of admissions, situates her autoharp. 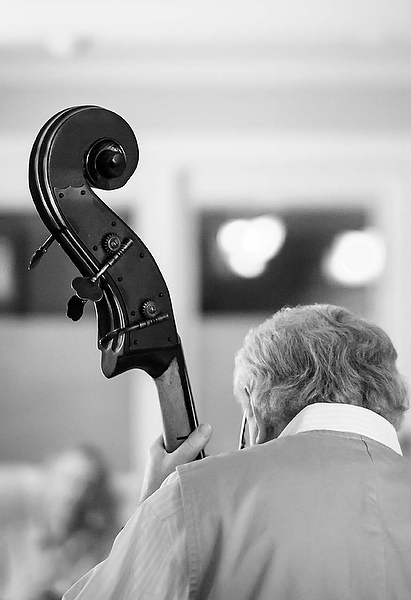 Her husband, Joe, a Winston-Salem lawyer, lifts his standup bass. Eight or 10 others tune their mandolins and fiddles and guitars. They form a loose circle. Those who came to watch, and maybe sing a little bit, draw together around them. Martha Allman waits a beat. That last line is a joke. There’s no hymnal — just some sheets of lyrics and chord changes floating around the room. This is not officially a religious experience. But it’s most definitely a spiritual one. The Unbroken Circle has gathered again. 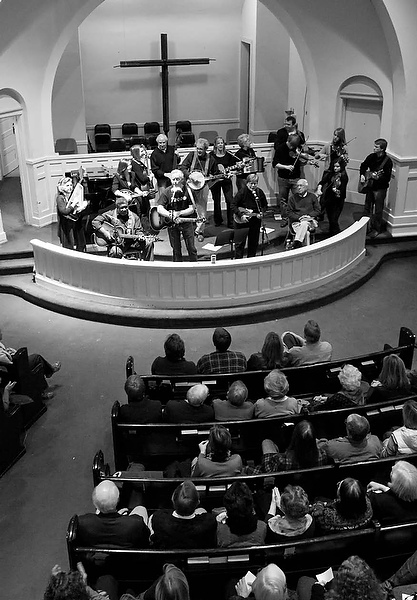 Playing a benefit concert at Green Street United Methodist Church with Big Ron Hunter (seated), January 2012. 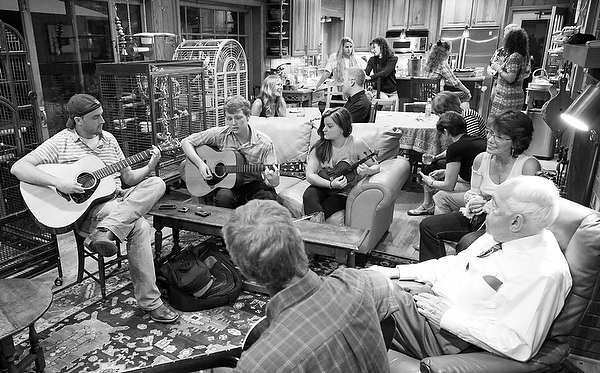 For nine years now, a loose-knit group of Wake Forest administrators, faculty members, staffers and students have met once a month to play acoustic music. It’s usually bluegrass or folk or country — although, as you’ll find out, they can end up playing just about anything. Over the years the group has grown from three or four folks to three or four dozen. They’ve even played a few shows around Winston-Salem, raising money for charity. But the core of it is still these Friday night potlucks. The regular gatherings have taught some of the Circle, and reminded others, of the power of music — especially when it’s shared. Martha Allman, aka Marthabelle, organizes the gatherings. ou probably know where the name comes from. “Will the Circle Be Unbroken” started out as a hymn written in 1907. The Carter Family rewrote it and turned it into a country standard in the 1930s. Then it was resurrected in the ’70s as the title track of the Nitty Gritty Dirt Band album that brought together country and bluegrass greats from Doc Watson to Roy Acuff to Earl Scruggs. When all those stars got together to do their version of “Will the Circle Be Unbroken,” they made sure Mother Maybelle Carter got the first verse. Martha Allman (’82, MBA ’92) is the mother of sorts for the Circle — she organizes the monthly gatherings. So within the group, she’s known as Marthabelle. So the Allmans started looking for people their kids could play music with. Right away Martha Allman thought of Linda McKinnish Bridges (MBA ’04, P ’09). 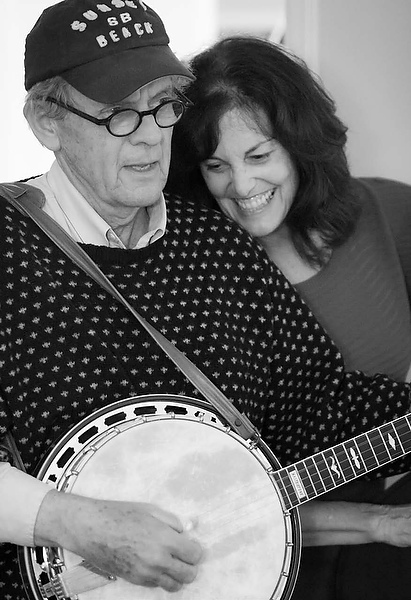 Bridges, former associate dean of international admissions, grew up in Henderson County as the daughter of Harold McKinnish, a mountain preacher who picked guitar and sang gospel. When Bridges came to Wake Forest to work in 2001, her dad started coming over to visit, and they’d sit around and play songs together. That caught the attention of Billy Hamilton (P ’94, ’98). Hamilton has played bluegrass in one group or another at Wake Forest since he arrived in 1982. He’d often put together a band to play at Homecoming. That connected him with Linda McKinnish Bridges, and when her father started coming over, she’d call up Hamilton to join them. The three of them played in various groups around town, or sometimes just by themselves at home. (Hamilton’s wife, Cindy, used to sit in on bass.) Harold McKinnish was on one of his visits when Martha Allman brought her kids over with their instruments. “It was so much fun, when everybody started playing together, that Martha and I said to each other, we’ve got to keep going with this,” Bridges says. The old-timers in the Appalachians used to call that frolic. When the Wake Forest folks got together, they called it homegrown. But after awhile, a more natural name came to mind, once they realized they always gathered in a circle. fter “Rollin’ In My Sweet Baby’s Arms,” The Unbroken Circle does “Jambalaya” and “Long Black Veil” and John Prine’s “Paradise.” They go around the room, and whoever’s up next chooses the song. Some people play and sing every tune. Some step in and out. Some just watch. Some hang out in the kitchen, where every inch of counter space is covered with potluck dishes — everything from a homemade Ethiopian vegetable stew to storebought cookies. Jordan Lee is known to throw Texas tunes into the mix. Nobody plays alone. Even if no one else knows the song at first, someone always picks up on the chords, or sings harmony, or takes a solo. 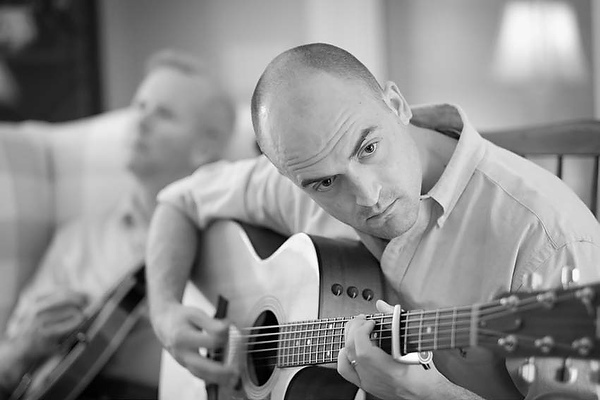 Bill McIlwain (MAEd ’94), an English teacher at the Winston-Salem/Forsyth County Schools’ Career Center, jumps in on mandolin or guitar or whatever else is handy. When it comes time for him to pick a tune, he chooses a bawdy number called “The Scotsman,” which involves a kilt and a well-placed blue ribbon. Later on, as they finish “Wagon Wheel” — an Old Crow Medicine Show song based on some unfinished Bob Dylan lyrics — Hamilton notices the song ends on a chord that’s different from the one you expect. “What does that mean?” Martha Allman says. “Well, in music it’s good sometimes. 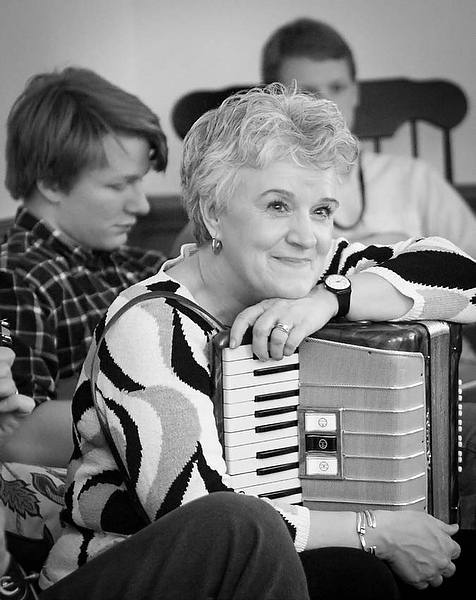 Linda McKinnish Bridges delighted her father when she moved nearby and played music. ne more thing about the song “Will the Circle Be Unbroken.” In the original version, it’s about reuniting in heaven with all your loved ones. But the Carter Family grounded it on Earth, in a story of losing a parent. The change makes all the difference in the song. It’s still beautiful, and the melody still lifts you up, but it’s cut with the hurt of the undertaker and the hearse and the grave. For a while, Linda McKinnish Bridges couldn’t bear to hear it. Her father died in August 2013. Harold McKinnish was 80, had preached more than 17,000 sermons, and had sung Lord knows how many songs with his daughter. As part of her mourning, she stayed away from The Unbroken Circle. She knew that if she went, she’d hear his chords in her head. 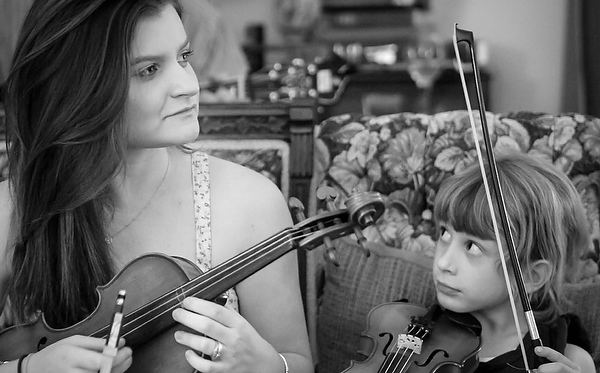 Bailey Allman, a Wake Forest senior, started playing the fiddle in sixth grade. Here with Casey Blocker. ow it’s May, and the Circle has gathered at Linda Luvaas’ house. People have brought new songs to test out. Sara Pesek takes the lead on “Cups,” the song from the movie “Pitch Perfect” (When I’m gone, when I’m gone, you’re gonna miss me when I’m gone. …) Somehow the group ends up playing “On And On,” the Stephen Bishop hit from 1977. Luvaas walks back in the room just in time to hit the high note at the end. Billy and Cindy Hamilton are Circle originals. This kind of night doesn’t happen just anywhere. Think about it for five minutes and you could figure out a dozen ways it could fall apart. Too many rules on what to sing and what not to sing. Too much worry about not all the musicians having the same skill. Somebody wanting to take over the show. Somebody not willing to get the thing organized. Time pressures. Schedules. Indifference. But for nine years now it has all hung together. And once a month everybody in the Circle knows they’ll get to eat a good meal, sing a bunch of old songs, learn a couple of new ones and maybe hear Ed Wilson sing Yeats. Joe Allman has honed his bass skills in the Swannanoa Valley. But no one in the Circle plans to make it a full-time band, or do a tour, or play more than the occasional gig outside these living rooms. The music is like the food — each person brings a little something to share with the group. It’s bigger than it used to be, but it’s still intimate. McIlwain picks it up on the mandolin, and a few others find the harmony. It’s quiet for a moment. Then Martha Allman looks up and smiles. They start to play their closing song, and the circle is unbroken by and by. Tommy Tomlinson is a writer in Charlotte. He was a longtime columnist for The Charlotte Observer and has also written for ESPN, Sports Illustrated, Forbes, Southern Living, Our State and many other publications.